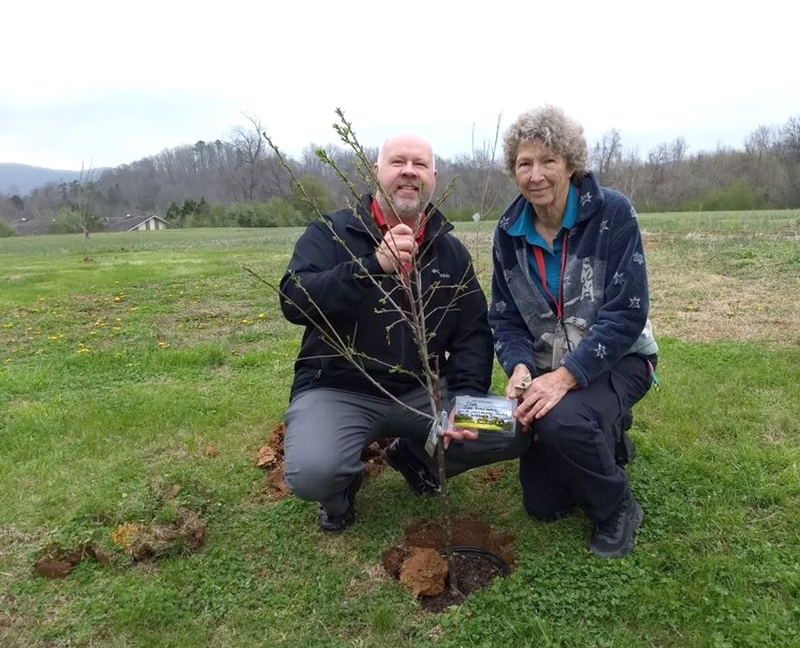 Roane State President Dr. Chris Whaley and college horticulturalist Nancy Humphreys work in the college’s community garden near the main campus in Harriman. Ask Nancy Humphreys, blessed with a green thumb, how her Roane State Community Garden grows, and she doesn’t hesitate to reply: pretty doggone well, thank you. Humphreys, whose title is Horticulture Tech III, had the brainstorm five years ago to plant a community garden to benefit area charities and those in need. “I saw a need in all counties served by Roane State, especially Roane County, for ‘surplus’ food,” she said. Helping with the startup were Shelia Hicks, secretary for the physical plant on the Roane County campus, and former Roane State employee Mare Thomas. Humphreys is now sowing a variety of vegetables in the college’s greenhouse to transplant into the garden, which will again have eight to nine raised beds. “Anybody in the community that wants to put a plot over there is welcome,” she added. The plot “really grows okra like you wouldn’t believe,” says Humphreys. Peppers and lettuce have already been sown in the greenhouse, located behind the Dunbar Building on the Roane County campus. Humphreys said she’ll be sowing okra in April. A bushel full of okra went last season to elderly congregants at a local church, “and they were thrilled,” Humphreys said. The garden also provides Tennessee Promise students an opportunity to complete their required community service hours. Students interested in signing up for that work are asked to contact Hicks at (865) 882-4565 or hickss@roanestate.edu. Five or six helpers would be great, Humphreys said. More information about the Roane State Community Garden is available at www.facebook.com/RSCCcommunitygarden.